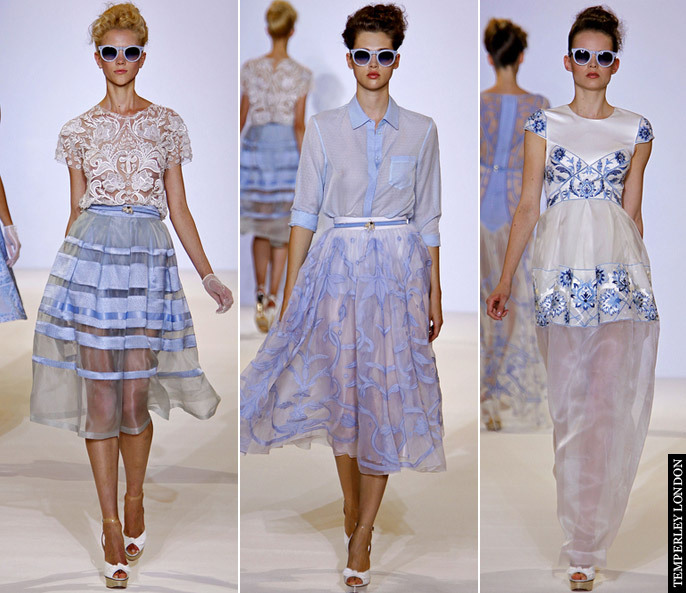 Entitled ‘Return To Elegance’, Temperley London’s Spring / Summer 2013 collection had the vision of “a late-1950s couture model or a young Sophia Loren”. Alice Temperley’s vision to modernise her muse while making her “uncomplicated and effortlessly beautiful” was exquisitely achieved. With an effortless sophistication and chic simplicity, Temperley played with the notions of sheer and solid; precision and prettiness; modern and timeless. In a luxurious colour palette of pale china blue, white, navy, scarlet and black – intensive workmanship shined through in every piece of the collection. Intensive digital prints and delicate floral appliqués combined for looks that were beyond beautiful. 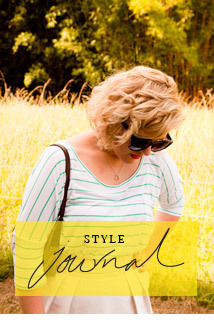 Thick horizontal stain bands ran around organza skirts and dresses – evoking a floaty, fun and overtly feminine look. The freshness of the colour palette – especially the use of crisp white cotton and lace sprinkled with fine crystals – evoked pure loveliness for Summer. It was a distinct departure for the label, which saw this collection appear much lighter and more luxurious in decedent fabrics and undeniably pretty silhouettes. 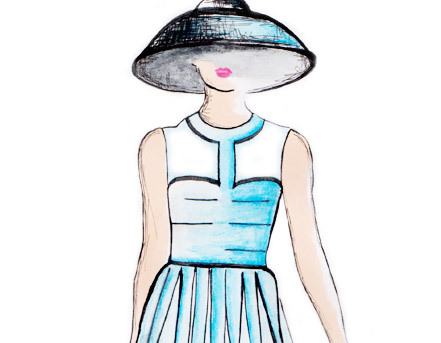 Iconic wide-brim hats, statement-making circular sunglasses and sweet net gloves – created an additional dose of drama. 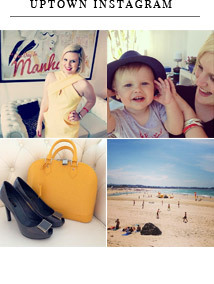 While the highly covetable heels were courtesy of Charlotte Olympia. 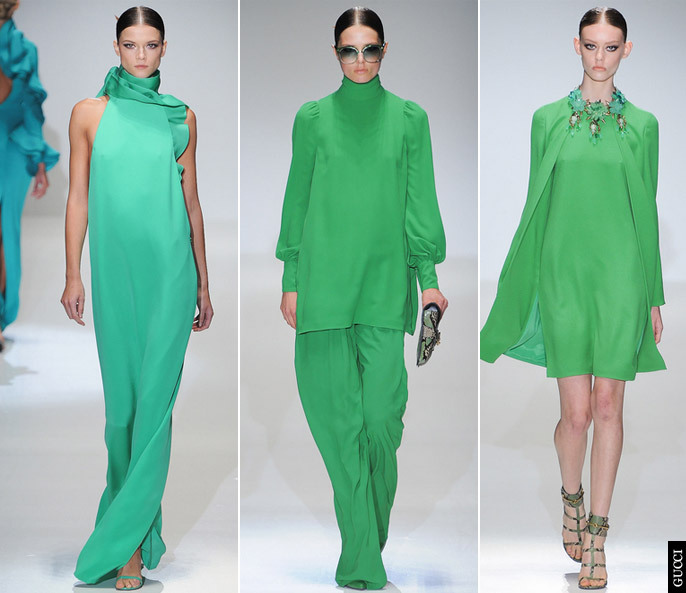 “I love to play with colour for Spring.” – Frida Giannini. Unabashed colour is undeniably enticingly. 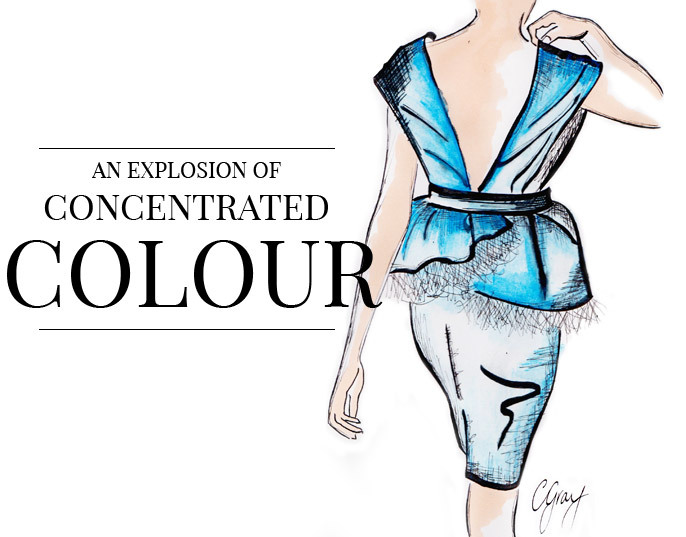 Exuberant, passionate and joyously enchanting – an explosion of concentrated colour can put a spring in your step. 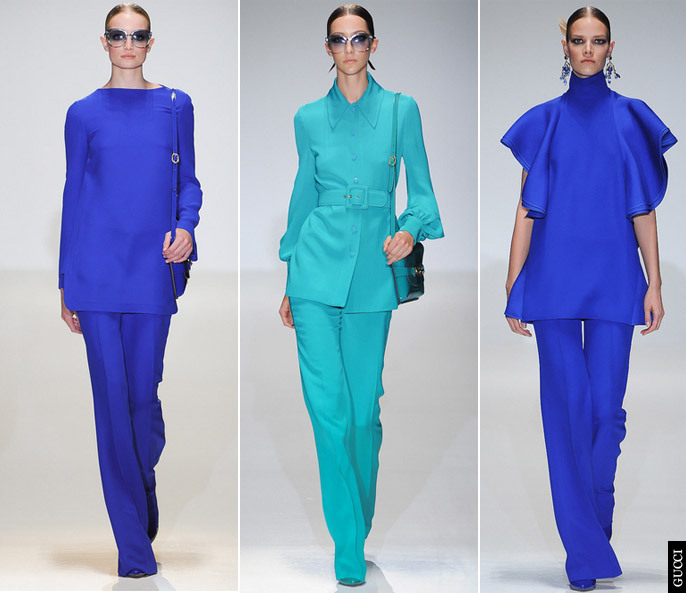 At the recent Gucci Spring / Summer 2013 collection, bold colour captured the imagination combined powerfully with chic silhouettes for maximum impact. 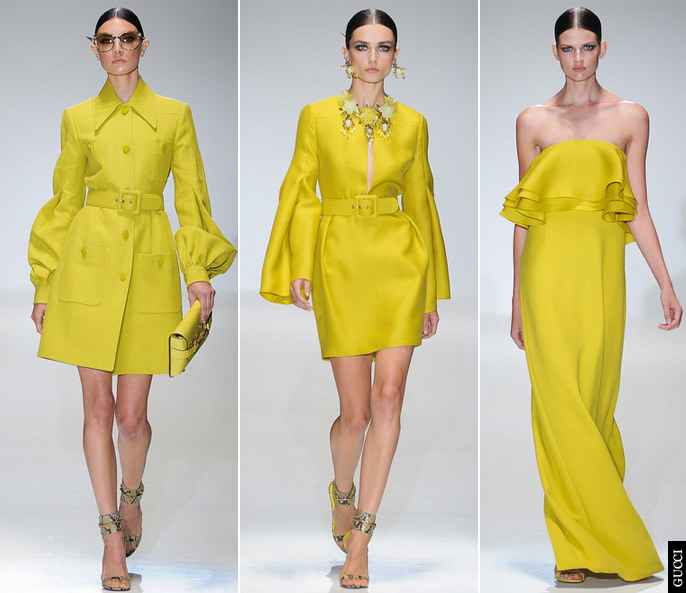 From bright pink to coral, cobalt blue, citrus yellow and rich turquoise – it was a collection that screamed of maximalist Italian glamour. Igniting the imagination and evoking a jet setting lifestyle – the colour intensity lifted the spirits to create a collection the designer herself labelled “aristographic”. 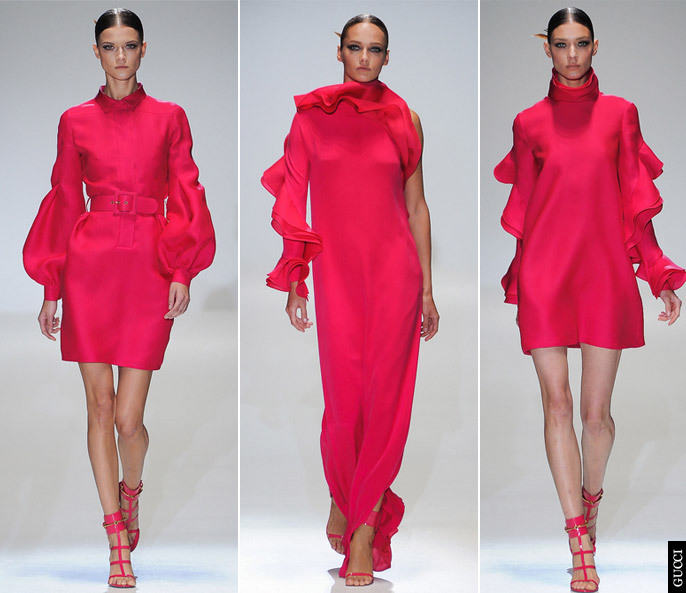 The late 60’s / 70’s silhouettes heighted the good mood; while subtle attention to detail saw ruffles line sleeves and necklines – arching around the body for added drama. 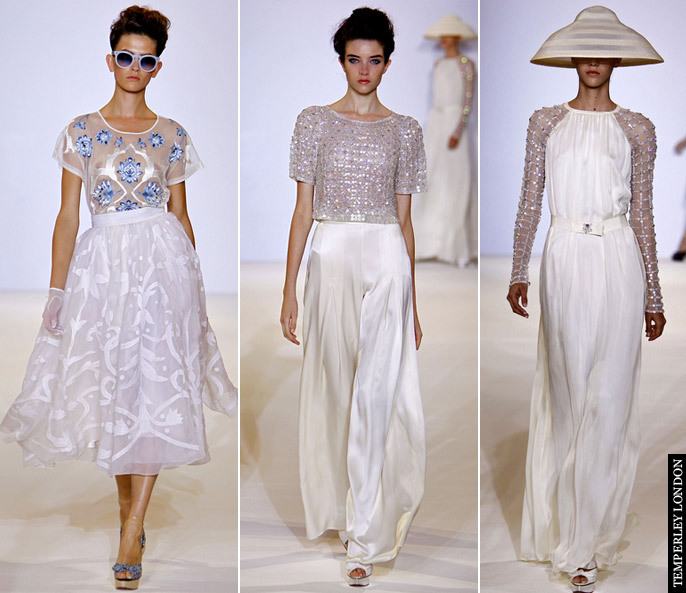 Charmingly unfinished yet extraordinarily beautiful, the Christian Dior Haute Couture collection was simply exquisite. It was a collection that exposed the beautiful workings of Haute Couture. Sheer layers showed the delicate construction of under garments. Tulle billowed elegantly from grand ball gowns. 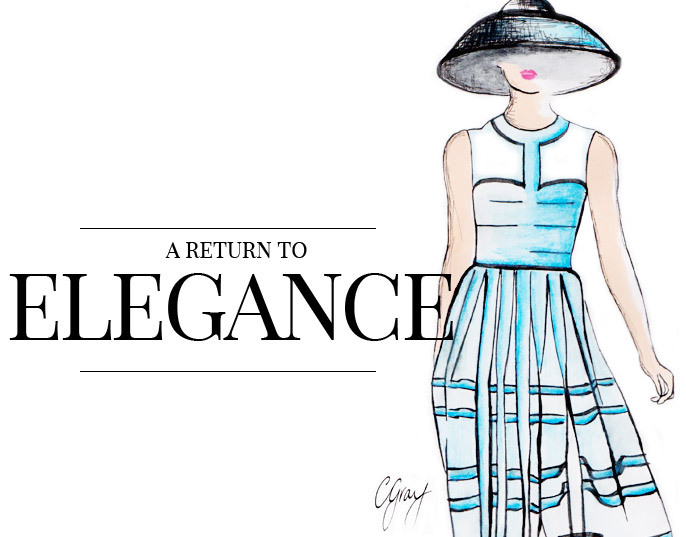 Ladylike elegance and polished glamour, made for sensational extravagance.